We have a new potato variety that all of the chef’s are agog over. Alturas Russets are a little-known cousin to the standard Russet potato that you are probably familiar with, although they have slowly been making waves in kitchens across the country. They are a high-yielding variety, meaning that they produce more than your average spud, while being heartier and more resistance to cold sweetening (when lower temperatures convert potato starches into sugar). What does that mean? It means that Alturas are the ideal potato for a farmer to grow, and more importantly for you, they are the best spud for making world-class french fries. You have likely had an Alturas without knowing it. They have become the fifth most planted potato in Idaho, and their demand is growing. These potatoes have become so popular that some major chains known for their “golden” french fries and a few large potato chip conglomerates have been secretly reserving all of the Alturas coming out of Idaho before they are even in the ground. They know a good thing when they see it. We started hearing rumblings from the culinary community about how great they are and how hard it is to find them, which is exactly the type of challenge Bob loves. It took some patience, but once we were able to get our hands on these spuds, they lived up to all of the hype. We are now starting to supply them locally to several restaurants where they are living up to their full potential in the hands of masters. Alturas fry up beautifully and have an incredible flavor, and when prepared by a chef who truly knows what they are doing, they are like nothing you have ever had before. If you really want a treat, go try the french fries at Cafe Bink, Cafe Zuzu at the Hotel Valley Ho, Caffe Boa in Tempe, the Houston’s in Scottsdale, or the new Hillstone. 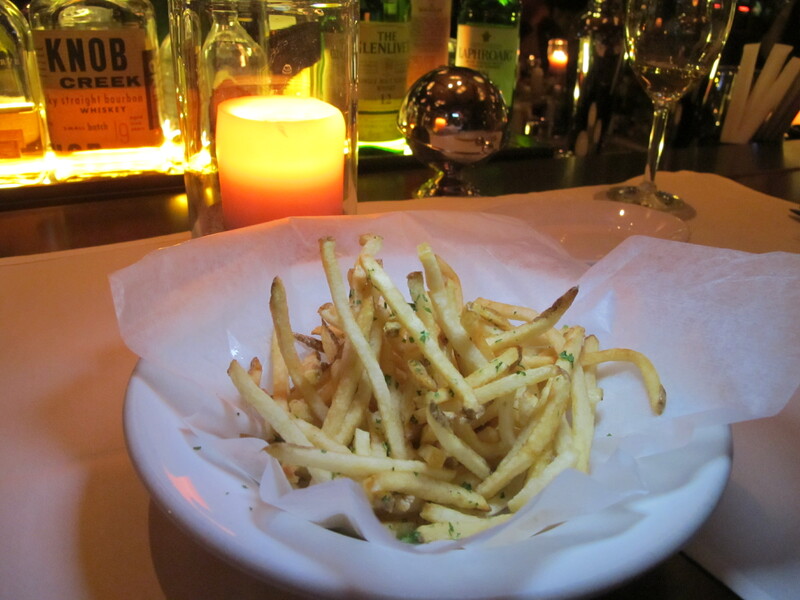 Trust me, you won’t find a better french fry. We are hearing tales of chefs double-frying them, using specialty oils, some are blanching them first. I have never seen the demand or fervor over one of products like we have had with these potatoes. But really, who doesn’t love a good french fry? You won’t find these guys in your grocery stores (or sadly at the market … those chefs are snapping them up faster than we can keep up), but now you know where to get them. They are only available from October thru May, so go find them now while you can. Sean and I enjoyed some last night at the new Hillstone Restaurant on Camelback and they were everything we were hoping they would be. So much so, we ordered them twice! By the way, I love the new Hillstone. They took everything I had loved about the Houston’s at the Esplanade, but really took their game up. We are not the only ones to notice, the place was hopping. Go see for yourself – and order the fries while you are there!